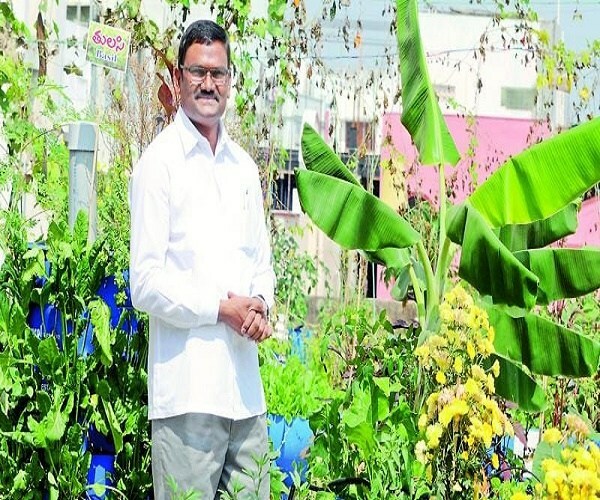 Yadlapalli Venkateswara Rao’s name might have become synonymous with techniques in organic farming but many cautioned him to not venture into an industry that is uncertain (referring to agriculture) while others mocked at him for choosing a “dying occupation”. His journey as an agriculturalist faced the toughest time in 2005 when farmer suicides were on the rise and they are giving up agriculture for alternate careers. “I was dejected to see farmers talking extreme steps. I wanted to see them become independent and self sufficient, and I felt this is possible if I introduce ‘organic farming’ a cost-effective, environmental friendly and a healthy practice to yield the harvest,” he shares. He urges the farmers to take up organic and natural farming methods. Rao has also started an informative magazine Rythunestham (in 2005), to educate and empower farmers on the various techniques. “I was ecstatic at the seeing profitable harvests. To further encourage and inspire others to take up organic farming, I felicitated programmes for people who are contributing to the development of agriculture, horticulture and animal husbandry. With the same spirit, I launched two more magazines Pasu Nestham and Prakruthi Nestham,” recounts Yadlapalli who juggles between his hometown and Hyderabad. Admitting that his personality completely transformed him, Rao adds that he loves to see greenery everyday when he wakes up. “Farming made me develop a balanced approach in life,” says Rao whose family also helps him at work. “My wife is also an agriculturalist and chips in whenever she can. My daughter is currently pursuing medicine and my son completed MS (in the US), he is also helping me on emerging farming techniques,” he recalls. Buoyed by the organic farming techniques, Rao has been advocating terrace gardening in the cities too. “Eating veggies from your own backyard keeps the family healthy, saves revenue and also educates children on agriculture,” says Yadlapalli, who loves to chill out listening to old numbers.